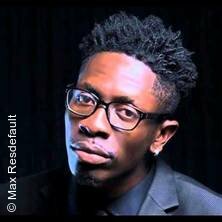 Shatta Wale, born as Charles Nii Armah Mensah Jnr., is a multi-talented Ghanaian producer and dancehall/reggae musician. Since the breakthrough-hit song "Dancehall King", which led him to win the award as “Artiste of the Year” at the Ghana Music Awards in 2014, Shatta Wale has dominated the African music scene. Listed below are some of his major hits on youtube: “Taking Over” “Baby (Chop Kiss)” “Ayoo” “Hosanna”. Shatta Wale is well known for his vibrant live performances, which has led to sold out shows in Africa, America and Europe. The multiple award-winning artist will perform live in Hamburg as part of his Europe tour in 2017. Can you afford to miss this show?! This will be a night to remember, so make it a date and dont be late! Page generated in 1,603112 seconds.